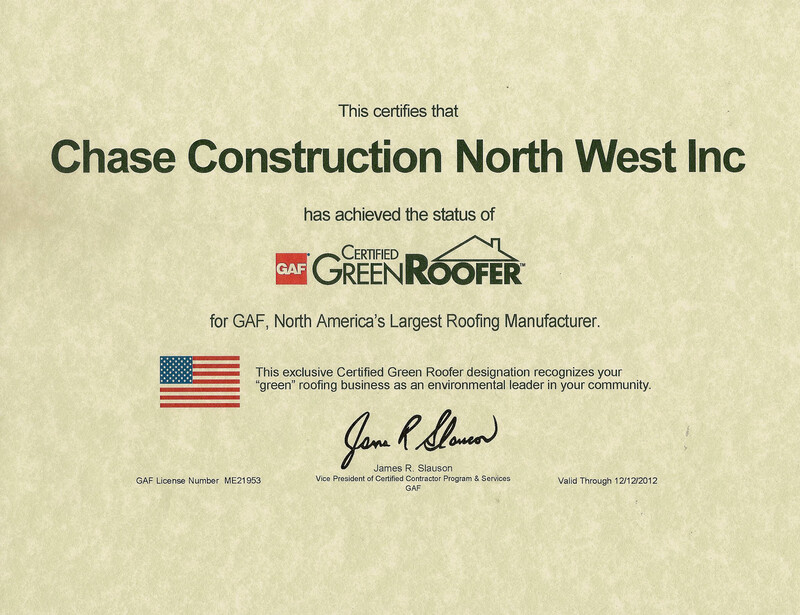 At Chase Construction North West, Inc we have made a commitment to recycle our asphalt roofing shingles. Here are a couple of startling facts about how much asphalt roofing is in our U.S. landfills and the impact it has on our environment. 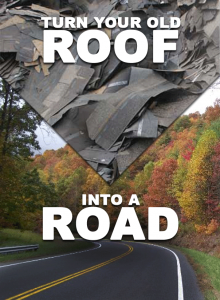 -11 million tons of asphalt roofing are dumped at U.S. landfills each year. 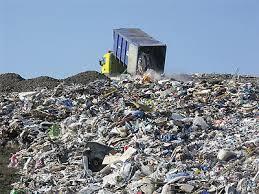 -At $100 a ton in dump fees that equates to $2.2 trillion dollars in annual dumping costs. 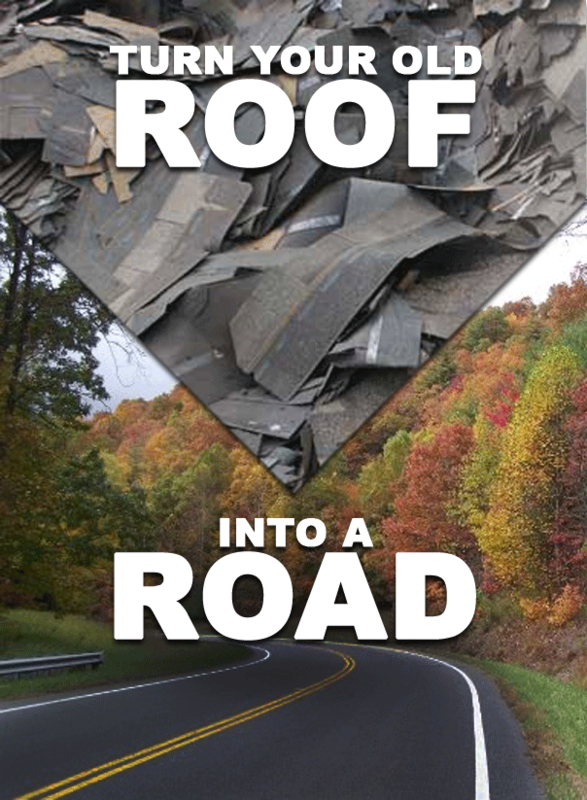 -Asphalt shingles are estimated to take up to 300 years to decompose. -Asphalt shingles are made of petroleum products which increases the risk of negative environmental impact. There is a very simple solution to this mammoth problem. New technology now allows us to grind asphalt shingles and turn them into a substance known as RAS (recycled asphalt shingles). In many places specifications are now allowing up to 5% of the asphalt for our roads to be RAS. Common products that are created from recycled roofing shingles are roofing cement, crack filler, cold patch, roof boards, pavement enhancer and more. 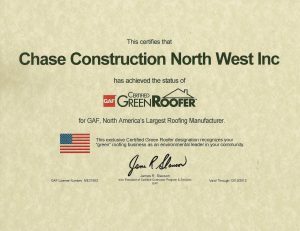 Chase Construction North West, Inc is a GAF Certified Green Roofer and is committed to recycling our asphalt roofing shingles. As partners with GAF’s green roofing and shingle recycling initiatives we are part of the solution, not the problem. You can depend on us to offer green roofing solutions for Pacific Northwest families and to be environmentally friendly. Are you ready to re-roof your home? Chase NW has been providing exceptional re-roofs in the Puget Sound for over 12 years. Call 253-445-8950 today for a free no obligation roofing estimate. We specialize in asphalt composition, metal, wood shake, torchdown, single ply, slate, concrete tile, roof repair, gutters, solar tubes and skylights. We provide service to Sumner, Puyallup, Tacoma, Federal Way, Olympia, Kent, Renton, Des Moines, Seattle and the surrounding Puget Sound cities. I like what you said about creating crack filler, cold patch, and roof boards all from recycled asphalt. Contacting a reliable asphalt company is the only way to go when looking to recycle some asphalt on your property. If I were to need such services, I would make certain to call a contractor that can ensure my asphalt will be put to use in other ways.